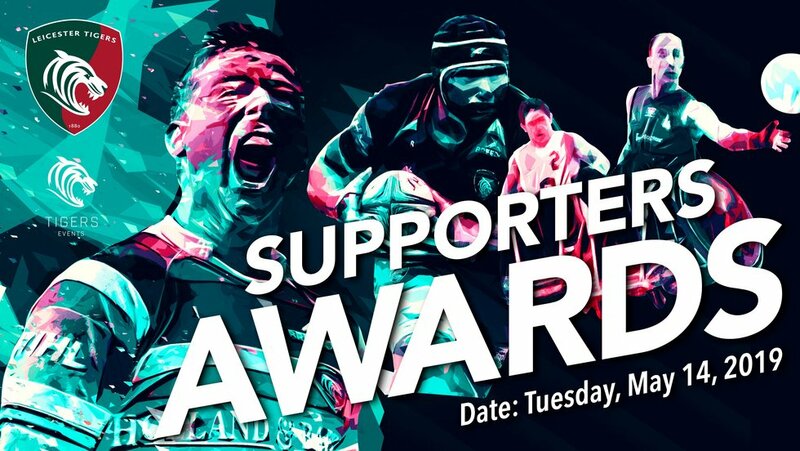 The Supporters Awards is a glittering occasion at Welford Road, attended by the full playing squad and coaches, featuring a three-course meal with a Tigers player at your table, plus interviews, video highlights and the award presentations. You will also have the chance to vote for the Try of the Season on the night. This event is always popular amongst supporters and seats are allocated in booking order, so book early to guarantee the best view on the night! 6:35pm - Guests called to dinner. 7:30pm - Dinner is served. 10:15pm - Formal part of evening to conclude. 11pm - Bar to close and carriages. Location: Premiership Suite (Welford Road Stadium). Private tables: Minimum party size of 10 to guarantee your own table, bookings of less than 10 people will be seated on a shared table. Seating preference: If you would like to be seated with someone in particular, please book your places on the same purchase. Group booking: If you are purchasing two or more places, you will only need to provide your name as the lead booker. Your guests will be able to find your reservation on the evening by presenting the lead booker's name.